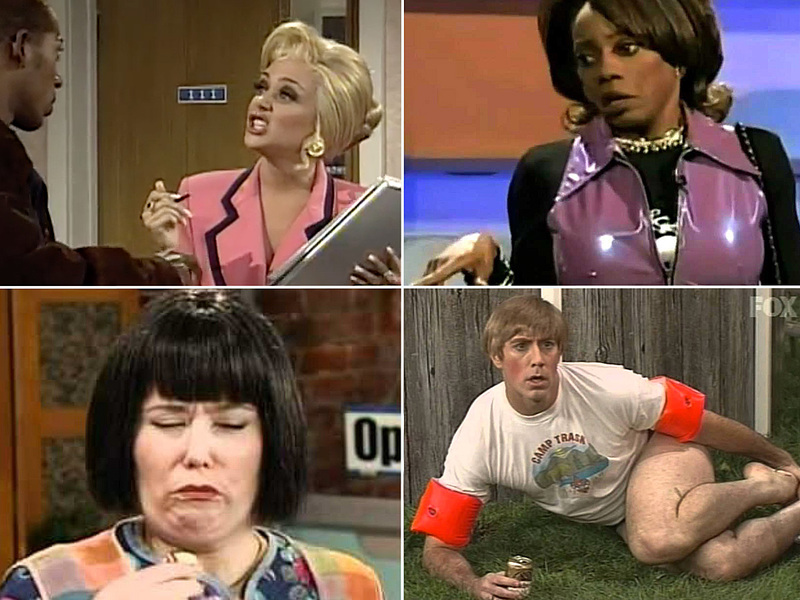 Editor's Note: MADtv returns for a special one-night reunion! Keegan-Michael Key (Key & Peele) and Ike Barinholtz (The Mindy Project) are a few alums who are back tonight to make audiences laugh. In honor of the special, we revisit some of the memorable laugh-out-loud characters covered in a TV Guide Magazine issue. The reunion airs at 8/7c on The CW. For eight seasons, Fox’s MADtv has been the little sketch comedy that could—the alternative to Saturday Night Live. And even thou its notoriously edgy recurring characters have not spun off feature films—no Wayne’s World or Night at the Roxbury—they do have an edge over the competition. Unlike their SNL equivalents, MADtv’s characters actually get funnier over time. (Yeah, NBC, we said it.) So as the series gears up for a ninth season and welcomes back several alums for its 200th episode (Saturday, 11/8, 11 pm/ET), we’d like to toast our five faves. Why We Love Her: Loud, brash and constantly yakking on her cell with best friend Sonya, Bonifa is one princess you don’t not want to mess with. Actually, that’s Miss Bonifa Latifa Halifa Sherifa Jackson to you. Can’t a sister get a little respect? Why We Love Her: She’s the owner of the Gorgeous Pretty Beauty Nail Salon. And her grasp of English can drive the perfectly sane crazy. “OK, I tell you everything,” she promises, without explaining anything at all. Why We Love Him: With his whispery voice, lazy eye and shrill, controlling mother; Stuart is a disturbingly oversize kid who invariably winds up in his dingy tighty-whities crying, “Look what I can do!” What can he do? Not much except make us laugh. Why We Love Her: Look how little her gloves are! Dot has the misfortune of being the twin sister of the world’s smartest 8-year-old. While Sis develops technology for NASA, Dot collects knitted gloves and gum. Why We Love Her: No one worked the “Vancome” counter like Kathy. Sporting major gold and an Ivana upsweep, this outrageously un-PC miss offended everyone with a “Tchaa…you know?” Every time she gets fired, we laugh so hard we cry. This article was originally printed in the November 18-24, 2003 TV Guide Magazine issue.